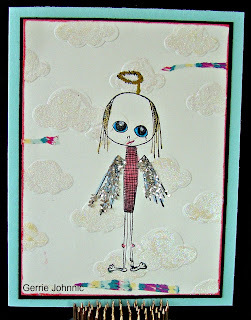 This week the challenge at Stampotique Designers Challenge, SDC 173, is Blink it Out! I had lots of idea's, however, Lola won out. All the clouds are glittered as well as her halo and wings. 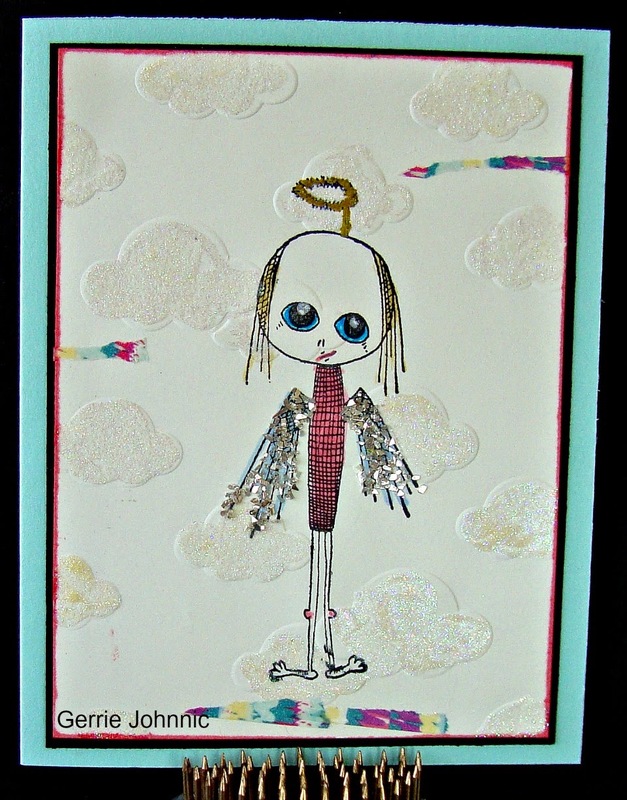 I embossed with the cloud folder, then flatted the embossing and added the glue and extra fine glitter. I love Lola and hope you do too! I actually thought that this one was a boy, lol... Like what you did with her ! Just how cute is that!! Your glittered clouds look perfect, thanks for joining us this week at Stampotique Designer's Challenge! Lola looks beautiful all bling'd out! Clever design and sentiment, Gerrie! Thanks for participating in the Stampotique Designers' Challenge this week! GF you are the bling queen great job on Lola's and I love the clouds. Love all the extra sparkle!